I read somewhere the other day that flowers are already starting to bloom because the weather has been so crazy this year. Don’t get me wrong, I am enjoying our mild winter and will take it any year! And I do enjoy flowers and plants. But as with everything there are exceptions to this rule. 1) Office jungles with fake plants. This is the view from my cube - the one on the left is fake. And rest assured there are MANY more! If I were making this up, I would be considered a very creative person, but I’m not. 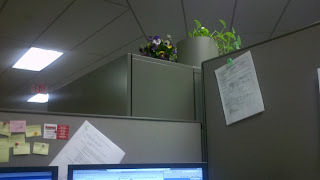 The ladies in the cubes next to mine have created a jungle complete with fake flowers. There are so many plants that people walking past really do double-takes. Not the cute bamboo in a pretty little vase with stones. I’m okay with that kind. I’m talking about the bamboo that was in my old yard at my previous house. The prior owners to the house behind mine decided to have a garden with an Asian theme complete with it. I don’t know what your experience with bamboo is, but I can assure you that it spreads. It moved to my yard. It moved to my other neighbor’s yard. And the other one as well. I’m just glad that I moved when I did! 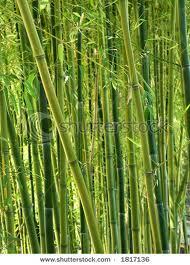 But bamboo can be very useful when in the right conditions. Bamboo clothing, bamboo floors, bamboo dishware and cutting boards, and bamboo handbags and sunglasses. A bamboo artisan in China, a shell-crafter in Cebu, a T'boli weaver in the Southern Philippines - our products are handcrafted by artisans using techniques that have been passed down through the generations, and seek to preserve and promote indigenous craft and culture. The handbags and sunglasses are very cute and would make great gifts for your sister or best friend or hey even yourself for a new summer bag!